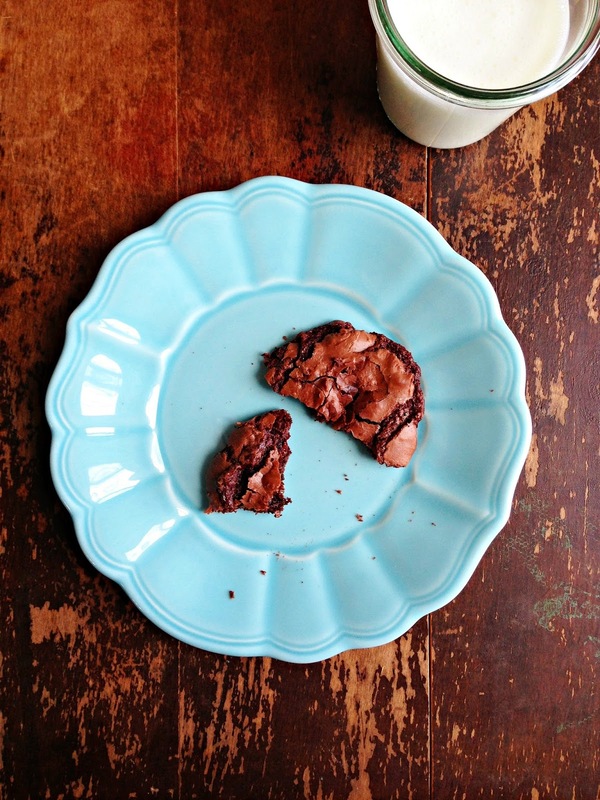 Fudgy and chewy, flourless and gluten free, these cookies are melt in your mouth little masterpieces. The batter comes together super quick, and word up, it's quite goopy. You might have to lick your fingers, which would be a shame, wouldn't it? They also spread quite a bit, so watch the spacing. I was also a little zealous with my heaping spoonfuls. No matter. If you need a treat for someone not eating gluten, this is a good recipe to have in your back pocket. I loved them more the day I baked them than the second day, but given how good they are, I've no doubt they'll be hanging around your kitchen long. After they came out of the oven, I stole a few minutes to read, something I don't do nearly enough of. I can't tell you how many nights I have good intentions of diving in and reading more than 5 pages, but more often than not I wake up hours later, with the glasses on, the light on, and generally discombobulated. It really isn't pretty. But this book. I'm grateful it's taken me more than a month to get through it, because ever page is written so beautifully. This woman is my new hero. Grab a copy if you can. With that, I should run and finish the soup and change the laundry and feed the meowing cats poking at my legs. Claws I tell you. Claws. Hopefully you have a little time for yourself this weekend, maybe steal away a few cookies and find a corner to read in, if only for a few moments. Happy weekend! Place racks in lower and upper thirds of oven. 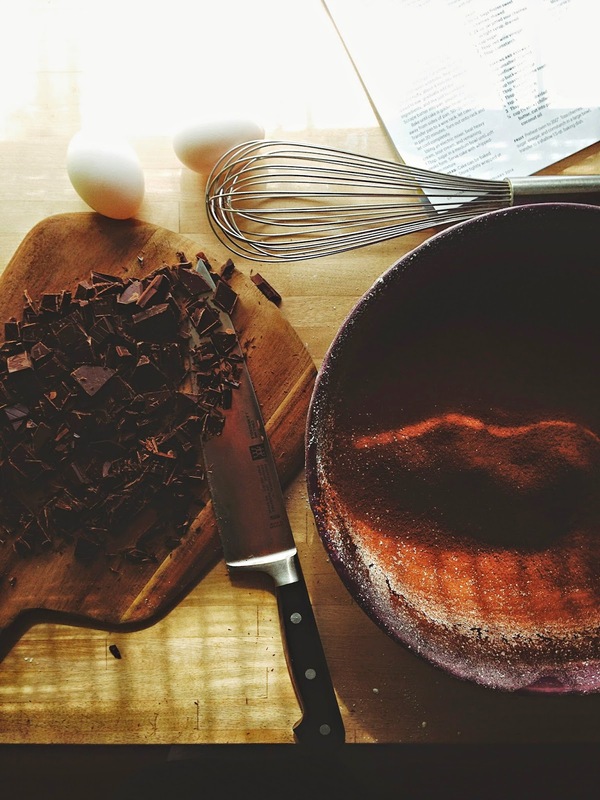 Preheat to 350*F. In the bowl of a stand mixer, sift together the icing sugar, cocoa and salt. Using the paddle attachment, beat in the whites and whole egg, chocolate and cacao nibs until smooth and uniform. Drop by tablespoons onto parchment lined baking sheets, spacing cookies 2 inches apart. Bake, rotating once until cookies are puffed and set, about 14 minutes. Transfer baking sheets to wire racks and let cookies cool completely. Makes about 2 dozen. Recipe from Bon Appetit, January 2014. 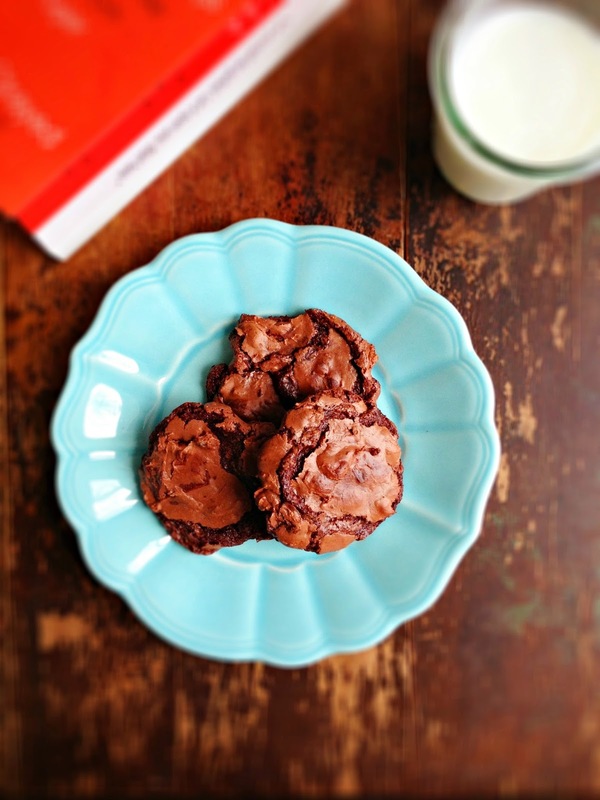 These cookies sound perfect for this sunny - yet still unbelievably cold - weekend. I shouldn't complain - I love baking on a cool spring day, and soon I'll be whimpering because I have to bake at 1 am due to the waaaaaaay-too-hot kitchen! 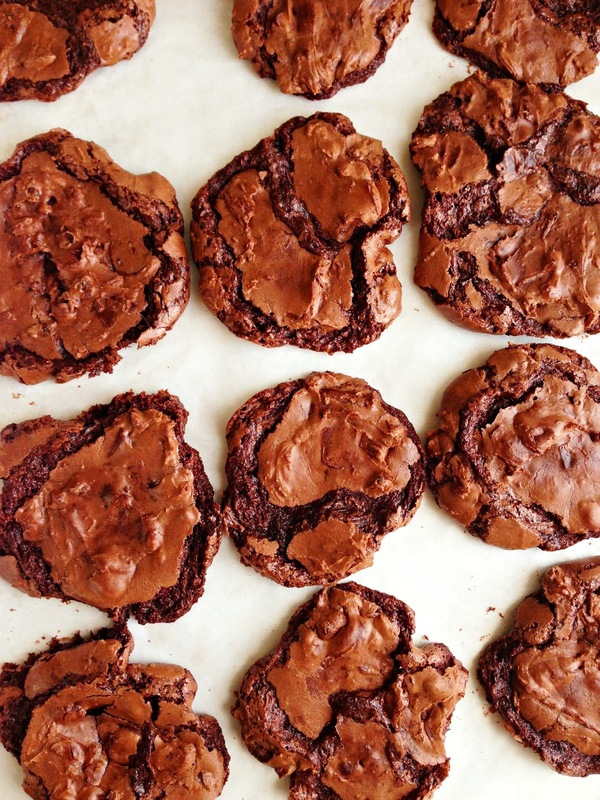 I was just about to make some brownies, but will make these instead! Yes! Your cookies look so decadent Renee. I hope you had a good Easter too! 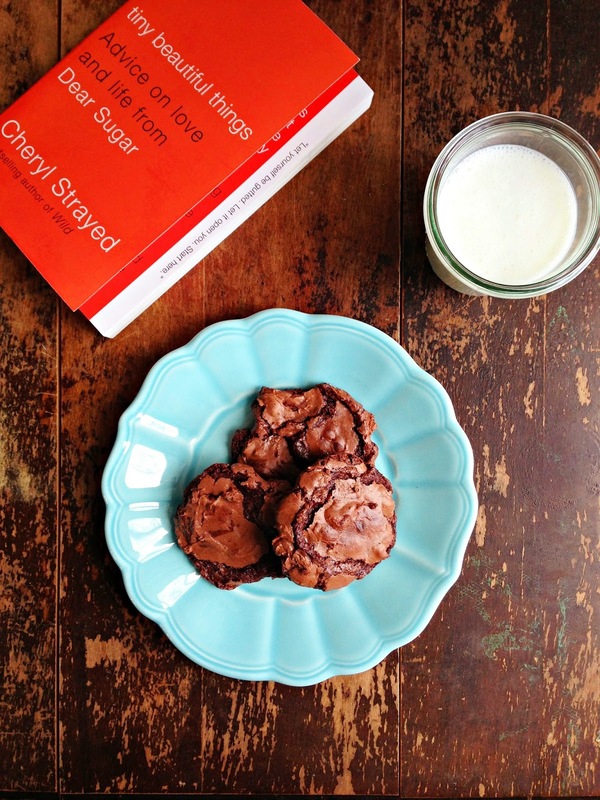 I will never turn down a cookie-- especially if it's chocolate. Looks delish, Renee! Chocolate makes everything better. And these DO look irresistibly fudgy. I hope the Spring thaw has begun!